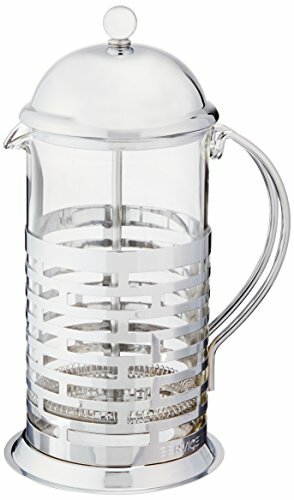 Coffee Press, 1 Liter, (33.8 Oz.) 4.75 X 6 X 9.75, Pyrex Glass Liner, Brick Pattern, Hand Wash, 18.8 Stainless Steel. Uses L8 Liner. Product Box: Consumer Pkg. If you have any questions about this product by Service Ideas, contact us by completing and submitting the form below. If you are looking for a specif part number, please include it with your message.